With the United States boasting one of the fastest-growing wind markets worldwide, it comes as no surprise that many Americans have an interest in wind energy both in general and in the servicing of their homes, offices, and other property. Currently, residents and businesses in all 50 states are experiencing the benefits of wind energy via the personal wind turbine, or small wind system. Mounted atop high towers (usually at least 80 feet tall), these handy turbines create electricity via the collection and conversion of wind energy. Once harnessed, the output from most models is made electrically compatible with the utility/power provider already in use (although in some cases, they may stand alone off-grid), allowing the building to use both the utility and the wind turbine. As appropriate wind speeds become available (at least 7 mph), the system then switches between them for optimal cost effectiveness. 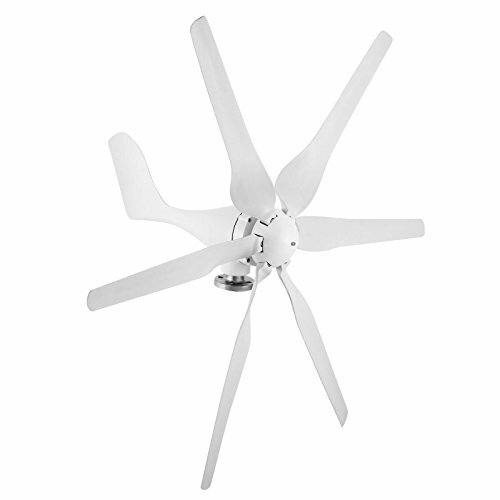 With increased wind speeds, utility power use and expense decreases, and if the turbine provides output in excess of household need, the extra is purchased by the utility. When used accurately, energy experts state that personal wind turbines have the potential to lower your utility bill by 50-90 percent while simultaneously helping to decrease pollution and emissions substantially. The U.S. Department of Energy also explains that such systems can provide energy through power interruptions caused by storms or other types of outages. Would a personal wind turbine work for my home or business? To determine whether a wind system would work in your area, you may want to consult the Department of Energy’s planning steps here. You’ll need to know whether sufficient wind can be produced consistently enough in the area, as well the appropriateness of the location, if such systems are allowed locally, if tax rebates or credits are available, and whether it would truly be advantageous for you economically. To estimate cost effectiveness, Bergey Windpower suggests at least a 10 mph average wind speed with 10 cents/kilowatt-hour or higher electricity rates for a wind system to be optimal. And although these turbines are handy for many, they are still somewhat large and thus not useful on properties of less than an acre in size. Bergey advises that for this reason, small-lot homes in the suburbs and urban neighborhoods are usually not large enough for installation just yet. 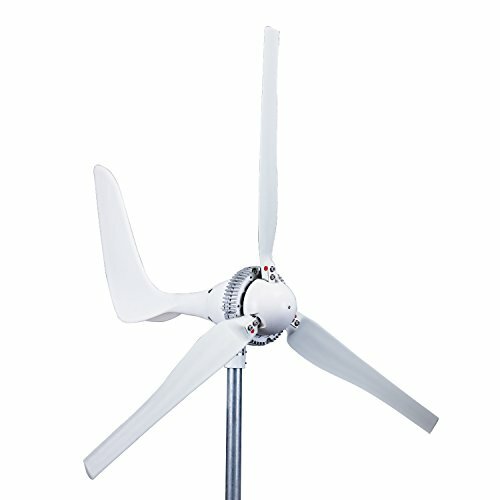 How can I shop for a wind turbine? Out of 7 verified customer reviews, this model received 5 stars on 86% and 4 stars on 14% – with no lower reviews. Also touting 7 reviews on Amazon, customers gave 5 stars 29 percent of the time, 4 stars at 57 percent, with 14 percent giving 3 stars. Great customer service: Customer service is helpful, knowledgeable, and willing to promptly replace any faulty parts. 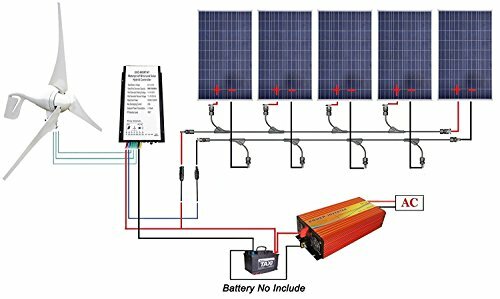 Great solar backup:In the absence of wind, solar panels work great on their own. You may need to re-consider the appropriate height for optimal turbine performance, especially if you’ve modified package instructions. Prompt delivery and easy installation:Although some customers disagree on how easy the instructions are to follow, most (with a basic working knowledge of electricity/wind systems) found installation to be fairly simple. Additionally, delivery was quick and the kit contents provided were of a high quality and better looking than other models available. Performance in Fluctuating Wind Speeds:Although the turbine is supposed to begin working once winds reach 8 mph, some customers insist theirs haven’t started until much higher wind speeds occurred – even as high as 20 mph. This may or may not be due to issues of inaccurate assembly or product placement, considering the probability of user error with this type of system. Insufficient Instructions Provided:As with the first model, you’ll need a solid working knowledge of electricity and wind energy systems to properly assemble and operate this model. Without it, you should probably consult a professional – or commit yourself to substantial amounts of research – before assembling. The system modifications recommended in the reviews should most certainly be confirmed through such means before attempting. This model received slightly fewer reviews, with 50 percent of customers giving 5 stars, 25 percent giving 4 stars, and finally 3 stars given at 25 percent as well. Excellent customer service:This company is serious about customer satisfaction, a pleasure to work with, and ready to promptly replace anything questionable in their kits. They’ll even pay for the return shipping costs when necessary. Kudos! Quiet and powerful turbines:This system ensures off-grid bliss for those in need of powerful, quiet energy. Customers have bragged about it being adequate to service an entire off-grid household when properly assembled. Confirm your warranty:Some found their attempts to replace items they considered to still be under warranty were unsuccessful. Phone calls and mailings were not returned. Make sure you’ve got your warranty info and contact methods straight at time of purchase – and for best results, make sure it’s all in writing. While our list here is certainly not even close to exhaustive of the personal wind turbine models available, we think it gives a novice perspective on what you’ll need to know as you begin to explore the options. Regardless of any challenges present in learning about or installing these turbines, you can feel confident that when using one, you’re offsetting pollution that would have surely been generated otherwise. You should be able to enjoy quiet (for the most part, there is very little noise with small wind systems) energy which does not interfere with television reception or other household devices. Home wiring systems should be adequate for simple retrofitting in most cases, but again, consult a professional if you’re unsure. Additionally, a properly installed wind turbine can not only save you money on power, but it can generally recover its own investment value over time while simultaneously adding to the value of your home. For more information, contact the U.S. Department of Energy. Department of Energy as well as the American Wind Energy Association. KJ has written on numerous subjects including green energy, environmental issues, culture, travel, history, and healthy living, as well as test prep content for educational sites. With degrees in sociology, psychology, and counseling, KJ has worked in her community in various positions throughout her career providing assistance both in the public school system and several mental health agencies. To read more of KJ's work, you may visit her author pages at Outward On here, Oh My Veggies here , and Healthy Tips here – or inquire within for more information. Thanks for reading!